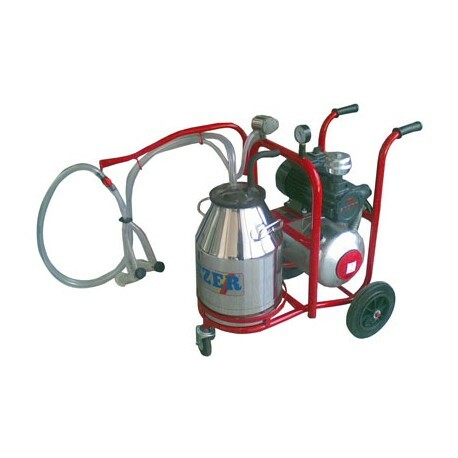 Electric milking trolley (220V). Specially designed for sheep and goats. Effective solid, reliable and easy to use. Very good value for money! 30 liters chrome steel pot. Pulsators 60/40. 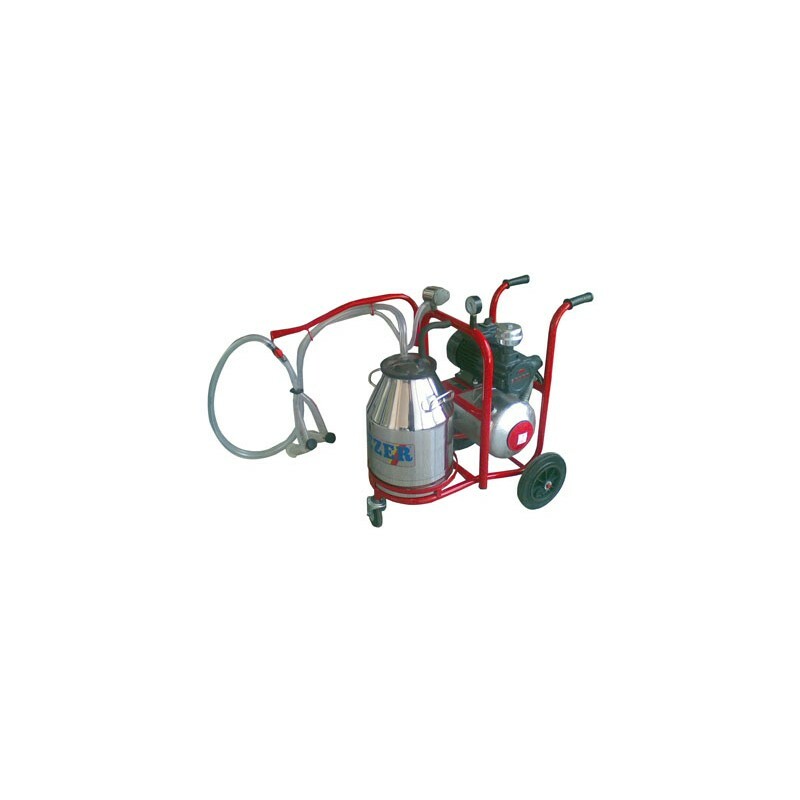 Vacuum pump with a 200 liters flow. Maintenance-free pump. Empty cup with a valve. Delivered complete, ready for use. Milking capacity: 10 to 12 sheep / goats. Weight: 65 kg. Dim: 91x60x108 cm.